Grandma and Grandpa, Memaw and Pawpaw, Nana and Poppy… No matter what the nickname is in your family, many grandparents play an important role in their grandchildren’s lives. Although we feel you should always celebrate grandparents, Grandparents’ Day is officially recognized the Sunday after Labor Day in the U.S. Try these ideas to make Grandparent’s Day extra special this year! Spend the day together. The best way to celebrate grandparents’ day is by spending quality time together. You can spend the day with the entire family or have a special outing for grandparents and the kiddos to a local museum or zoo. 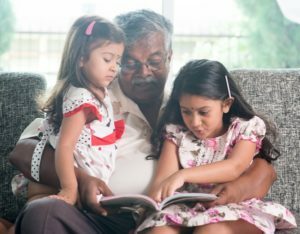 Trips to the park and library, or even flying a kite in the yard, become extra special when they are with a grandparent! Have a backup plan. In case of bad weather, let grandparents participate in the fun games and activities you normally do around the house. Try games and activities like dress-up, board games, card games, crafts, and reading together. Get in the Kitchen. Baking or cooking dinner together is another great activity that family members of all ages can participate in. Maybe there is a popular family recipe grandparents can show the kids how to make. To keep kids safe, make sure to supervise while they are cooking. Cooking offers a sensory experience and fine motor and executive function practice. To help family members make the recipe for years to come, don’t forget to write it down and keep in your recipe box. Send snail mail. If Grandparents don’t live nearby, that’s okay too! Write them a card and send it in the mail. Your little one can work on fine motor skills by drawing or write a note to practice their handwriting. Grandparents will love a hand-drawn picture of them and the kids! All hands on deck! …or paper! If you’re looking for something special in addition to a card, consider making a hand print craft. You can make them with grandparents or send to them as a gift, and kids will enjoy a fun, sensory experience. Let the kids get creative with their hand prints! They can make them into flowers, the sun’s rays, animals, leaves on a tree, or anything else they think of! Make a Family Tree. Draw pictures or cut out photographs of your family members. Use the branches of the tree to show how each family member is related. Include aunts, uncles, and cousins and talk about how everyone is connected. This can also be an opportunity to show the grand kids old family photos, maybe even pictures of their parents as kids! Play Journalist. Older kids can interview their grandparents to learn more about them while practicing communication skills. This is a great time to share family stories. 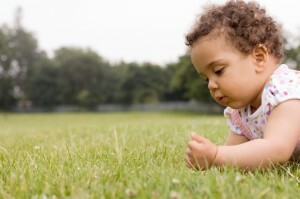 Brainstorm with your child ahead of time and make a list of questions they want to ask. What they were doing when they were your child’s age? Did they like school? What family activities did they do when they were a kid? Ask grandparents about their family members and maybe make some additions to the family tree! There are plenty of ways for grandparents and grandchildren to spend quality time together. Celebrate this Grandparent’s Day (and all year long!) by trying these fun activities with your family! Keep the fun going with these fall crafts! There are plenty of fun, outdoor activities. Try these!